We provide a wide range of services to our residential customers in the peninsula. We work also in concert with architects, interior designers, contractors and developers. 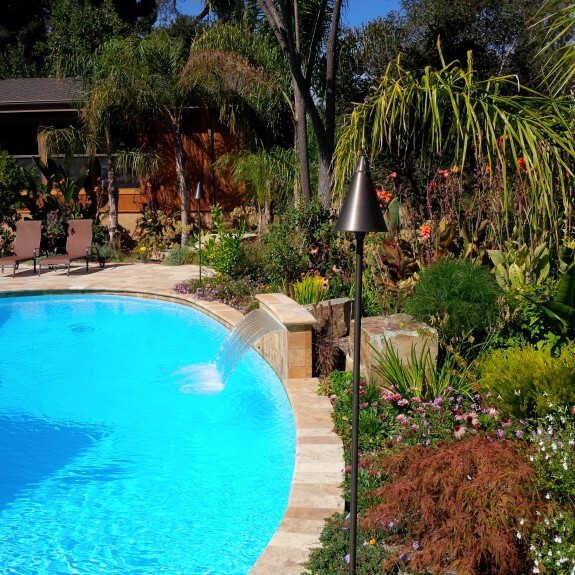 With over 20 years of garden landscaping experience, award-winning Michael Moore is ready to turn your garden into a masterpiece that will last. From the first glimmer of inspiration through to the final finishing touches, Michael is particularly skilled at capturing its clients dreams with concept drawings. 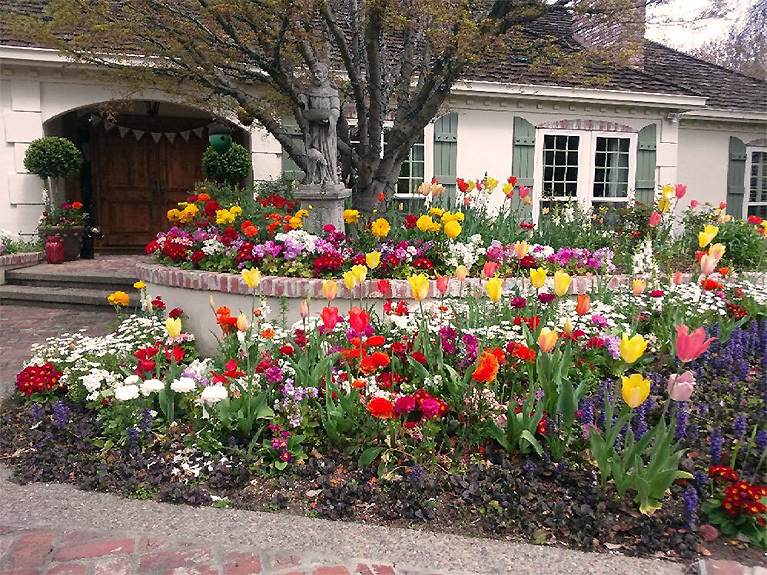 Michael Moore, Masterpiece Gardens’ owner, is an award-winning landscaper who earned his B.S. Degree in Ornamental Horticulture from Cal Poly State University, San Luis Obispo, the number one School of Horticulture in the nation. 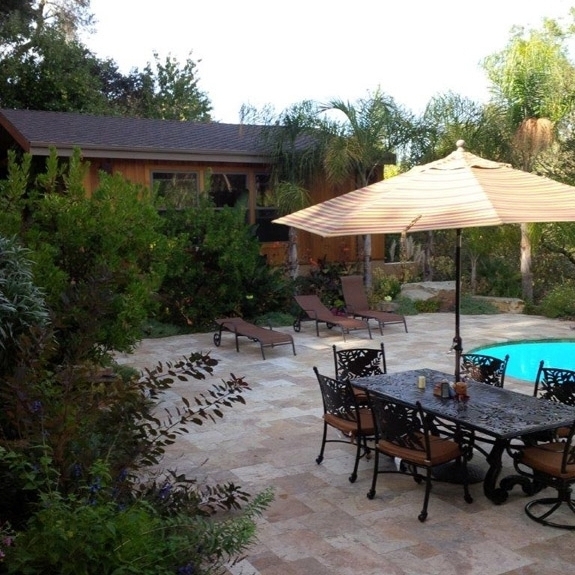 Under Michael’s supervision is a team of experienced landscapers and specialists who are well prepared to create a masterpiece using your property as their canvas. 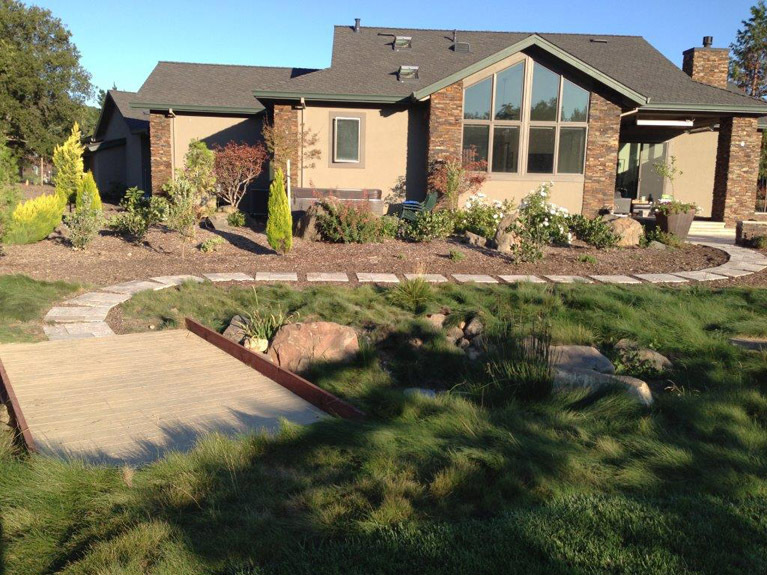 Do you need a new driveway, a walkway or a pool deck? 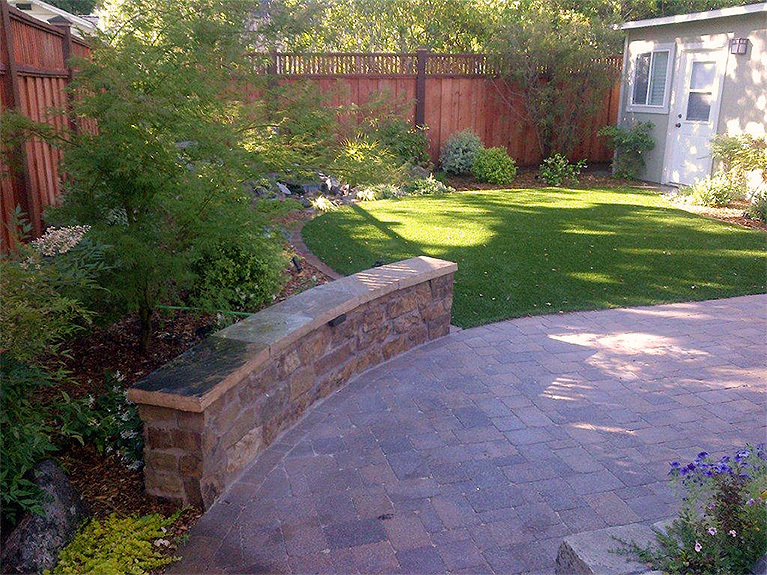 Think about using interlocking paving stones to replace standard concrete & asphalt. 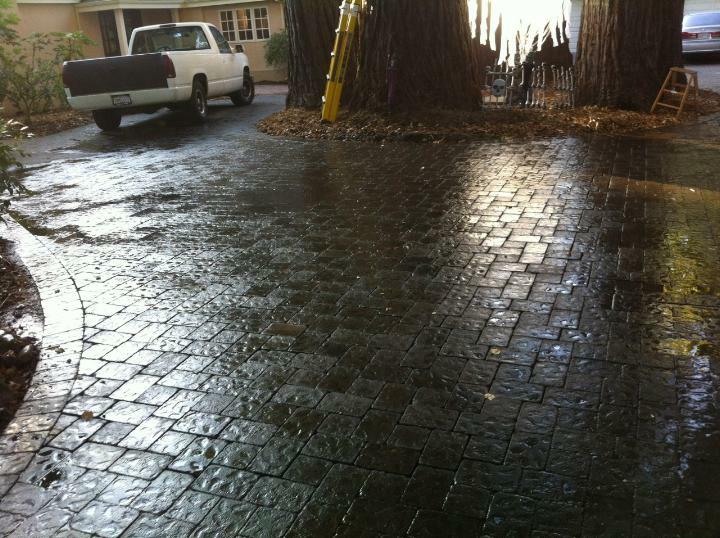 Pavers will not crack or be damaged by tree roots. 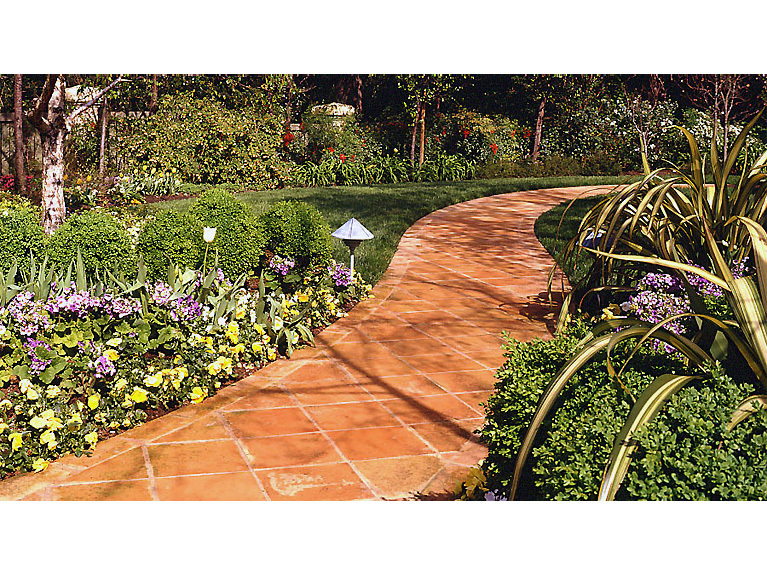 Our pavers come in different tones and patterns that can be suited to your home and garden. We build beautiful custom-designed decks and fences and other structures using wood as well as the latest in wood-like composite materials that are guaranteed to last a lifetime. 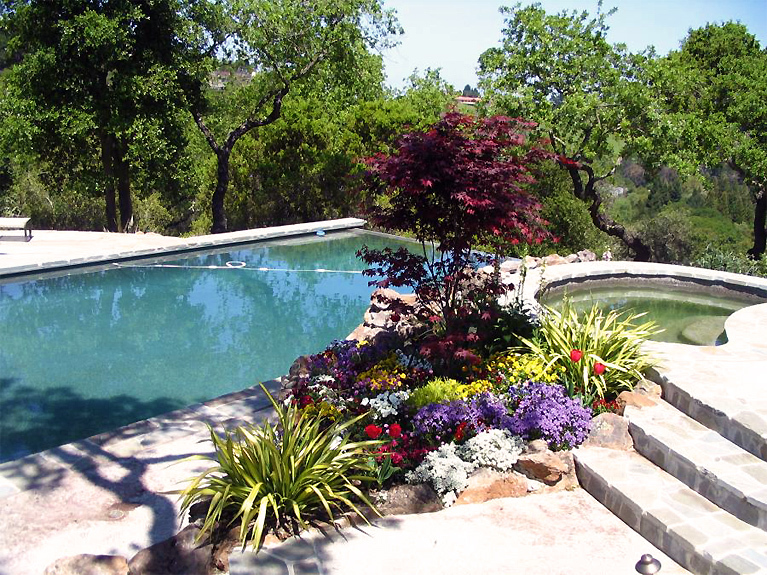 In addition to installing beautiful gardens, Masterpiece Gardens provides an outstanding Maintenance Program.We cannot stress enough the importance of quality maintenance on your garden not only for your enjoyment over the years but to protect the investment you have made. We provide weekly, monthly and quarterly Maintenance Programs. Unlike many “mow and blow” companies, Masterpiece Gardens provides the expertise of proper pruning, fertilization, watering, mulching, and flower/bulb planting. 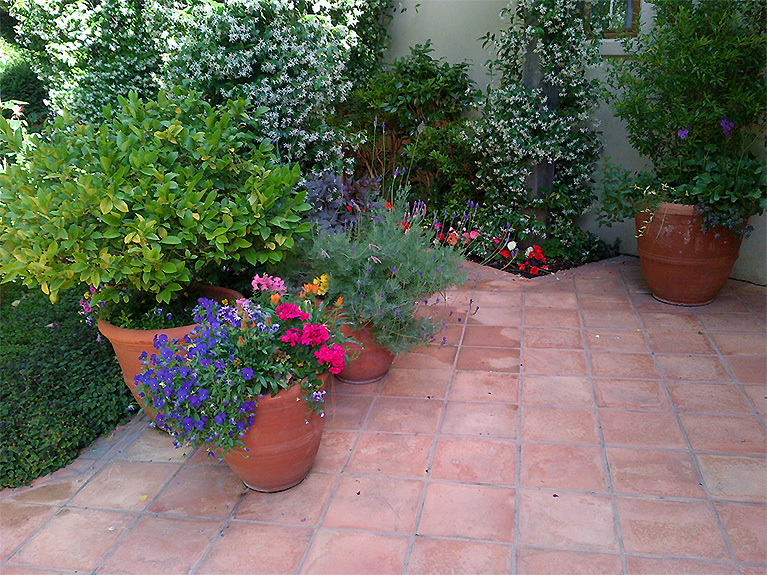 For clients who enjoy maintaining their own gardens but are unfamiliar with some of the tasks, we provide Consultation. 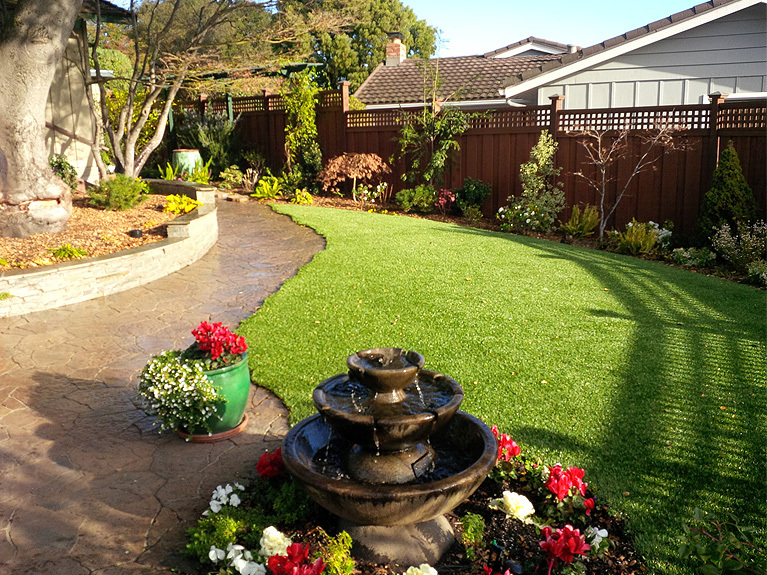 At Masterpiece Gardens, we take the “natural” approach to maintenance. We are licensed by the State of California and governing counties to use chemicals; however, many of our clients have either children and/or pets. We have found that many times with a proper maintenance program insects and fungi can be controlled; thereby, minimizing the use of chemicals. Trees make a great investment. They provide shade, protect your home from cold winds and gusty rain, reduce the surrounding noises and provide a natural habitat for a variety of birds and squirrels. But trees need regular care too: insects, weather damage, and poor soil conditions can all have an adverse affect on your trees. Masterpiece Gardens’ tree care partners can help you correct these problems and revive your trees’ health. 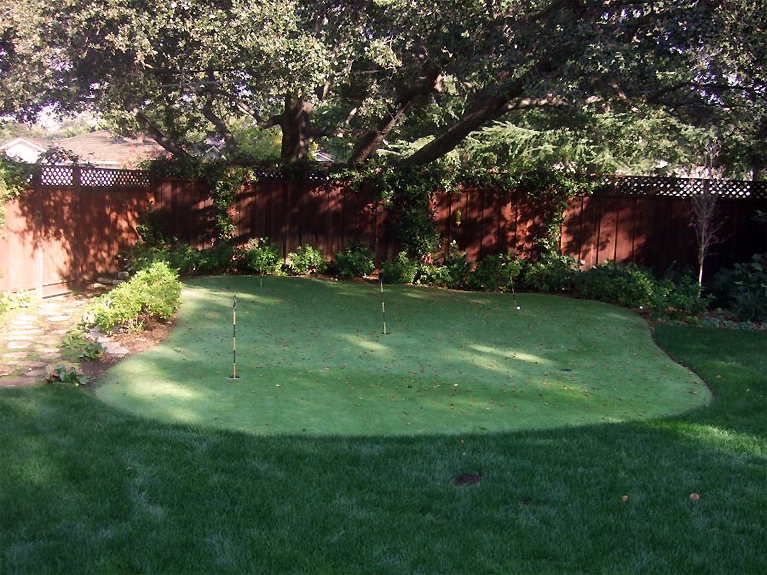 In addition, we can assist you select and plant the right trees for your property. 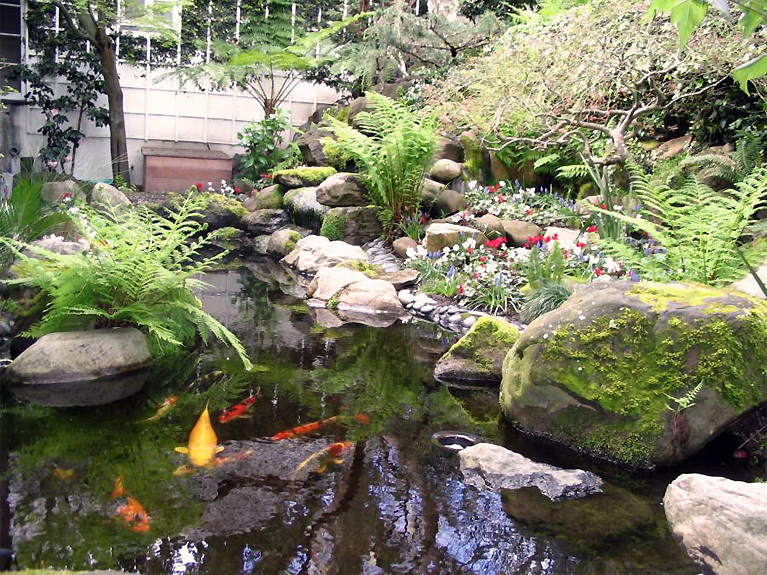 Nothing is more relaxing than the sound of a waterfall gently rippling over a serene pond. 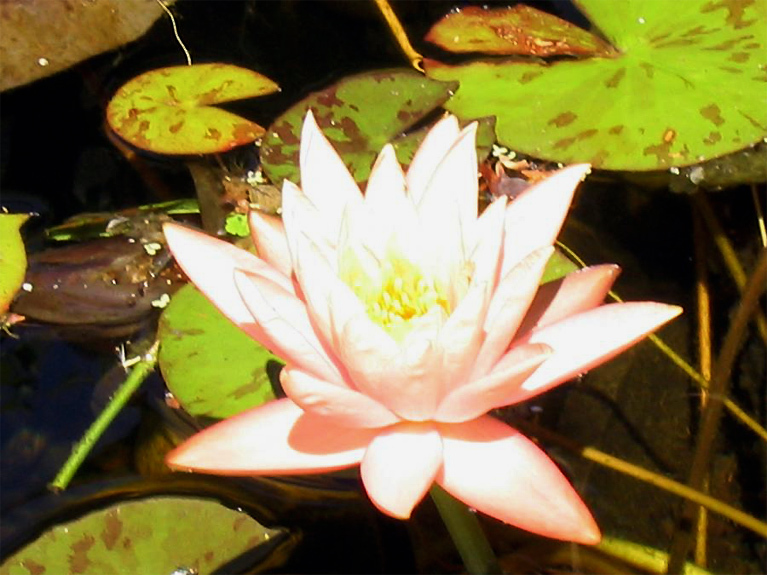 These beautiful creations are homes to fish and aquatic plants that are a compliment to every garden. 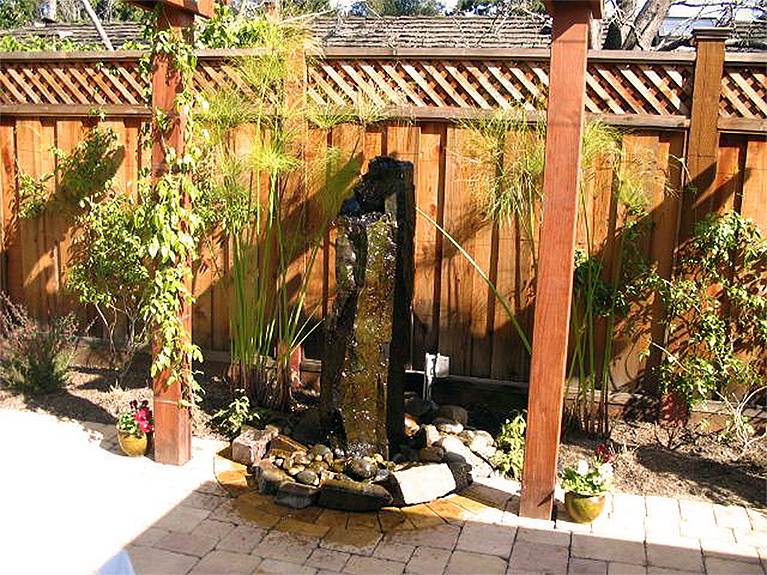 Water can enhance the sense of nature and peace in any garden. Outdoor lighting enhances the beauty of your garden at night. Low voltage lighting not only adds beautiful color, light and shadow, but also has a low energy consumption compared to a 110 volt lighting system. The backyard barbecue has come a long way! 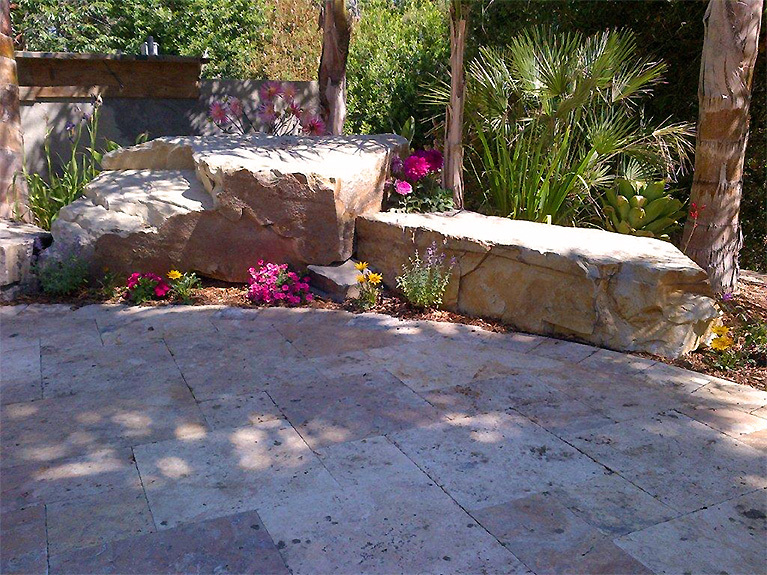 With Masterpiece Gardens outdoor kitchen design team, take your outdoor entertaining to a whole new level. With a limitless combinations of designs, colors and finishes we can help you create your ultimate outdoor kitchen. Call today for a free estimate. Do you get water or humidity in your basement? Are you worried about falling/cracking retaining walls, mudslides or termite infestation due to excessive drainage and/or repeated exposure to water? If so, Masterpiece Gardens can advise you on the best ways to deal with these drainage problems. The first thing that we will do is to understand the underlying cause of the problem. Each problem has it’s own set of solutions which may include improving the surface drainage, the soil structure, solving grading and leveling problems, adding run-off outlets. 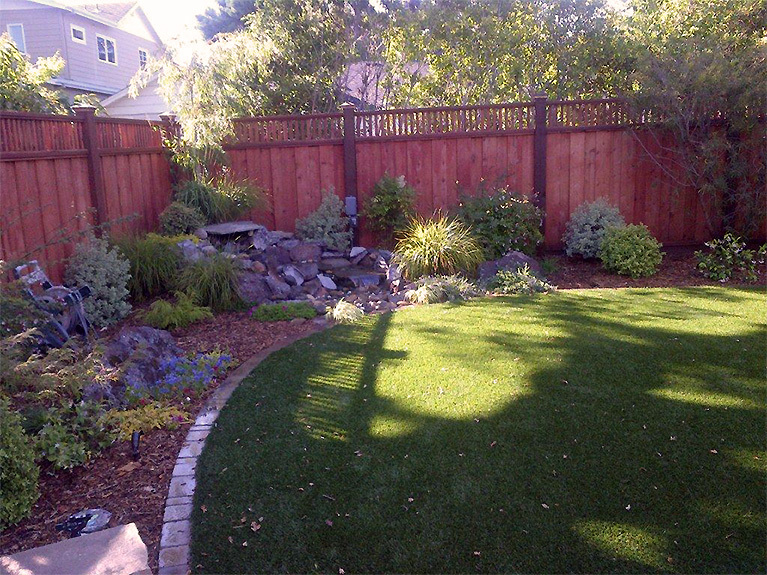 In addition, we can recommend and plant ground covers, shrubs & trees with interesting roots characteristics that can protect your landscape from erosion, swampy area as well as reinforce the terrain. 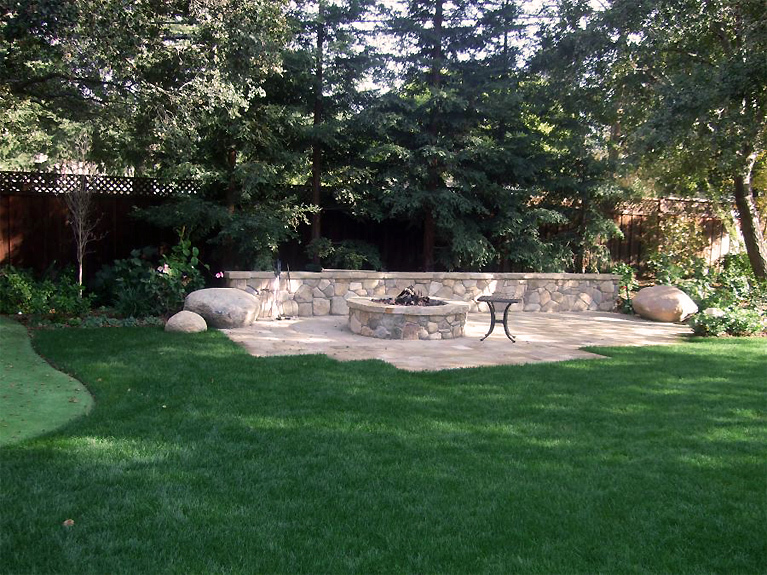 At Masterpiece Gardens we have made the move to GREEN landscaping in every aspect. 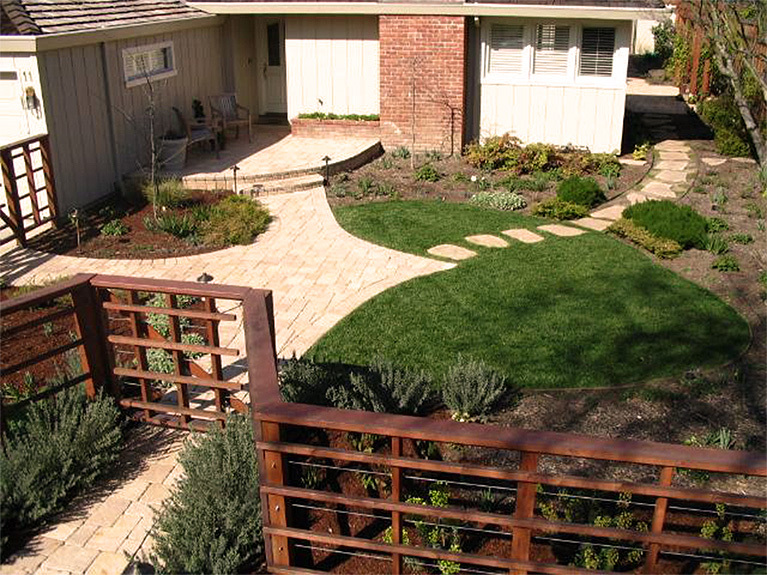 Our first process is design, in which work with our clients to design a garden that is functional and beautiful. We are able to recommend a more organic garden, which includes organic and recyclable materials as well as a more water conscious garden. We are now much more conscientious in our use of organic and recyclable building materials. – We are now using more composite material instead of wood. This is recycled plastic that not only lasts longer it is easy to maintain. – We do use wood on certain projects in which the wood comes from forested areas and not from virgin forests. – For framing we stay away from pressure treated wood that is treated with arsenic. We use pine that is treated with a fungicide to prevent termite damage. The pressure treated arsenic wood is no longer allowed in our landfills and is taken to a special dumpsite where the wood is disposed of in an environmentally friendly manner similar to asbestos and old paint disposal methods. – We have also gone to steel framing instead of wood. Not only do we increase the strength of our structures but also the lifespan of steel is more than wood and there are not the maintenance and deterioration concerns. – The irrigation products we use are now almost all recyclable plastics, everything from the pipe, fittings, sprinklers and valves. – With the advances in solar we look forward to being able to install solar powered irrigation controllers in the very near future. – Our plants are grown locally in the Bay Area and San Joaquin Valley. The plastic pots our plants come in are from recycled plastics and all of the pots at the end of each job are returned to our nurseries to be used again for future plants. – The soil we use is from local horse ranches here on the Peninsula. The soil is heat sterilized so your garden does not smell like a stable but your planting beds get the benefits of rich organic soil with loads of beneficial microbes. Mulch helps promote microbial activity in our soils that are robbed on a weekly basis by gardeners blowing all the leaves away. Mulch breaks down and starts to create needed food for our plants so inorganic fertilizer is no longer required to sustain our trees and shrubs. 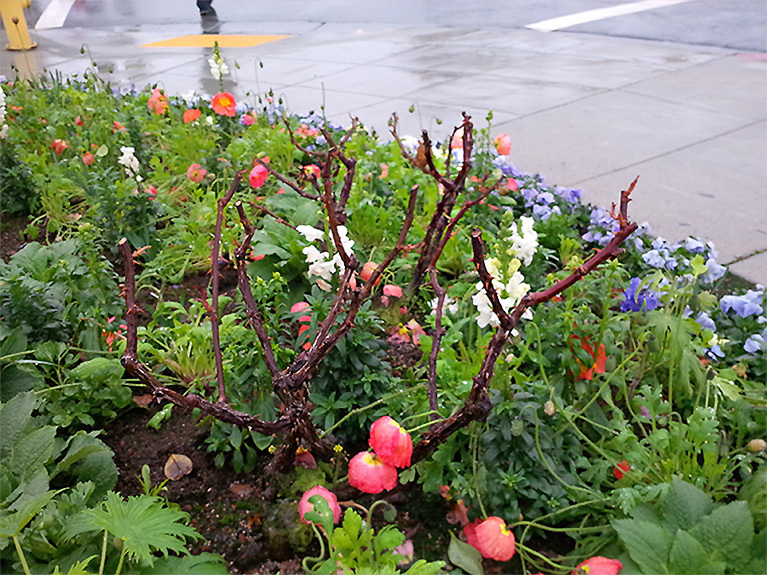 Mulching helps keep the soil moist and in turn reduces water consumption. Mulch helps aerate our compacted clay soils here in the Bay Area. Mulch prevents soil erosion and stabilizes hillsides. Mulch also helps prevent water run-off into our streets and gutters. Insects and diseases are controlled with organic methods instead of commercial pesticides. Our goal is to promote healthy plants that can ward off diseases and insects. Once again regular mulching helps prevent weed germination and makes manual removal more economical without the use of commercial herbicides. We test our garden soils on a annual basis to see what, if anything is missing. Organic nutrients can be added to make up for any deficiencies in the soil without the use of inorganic fertilizers. 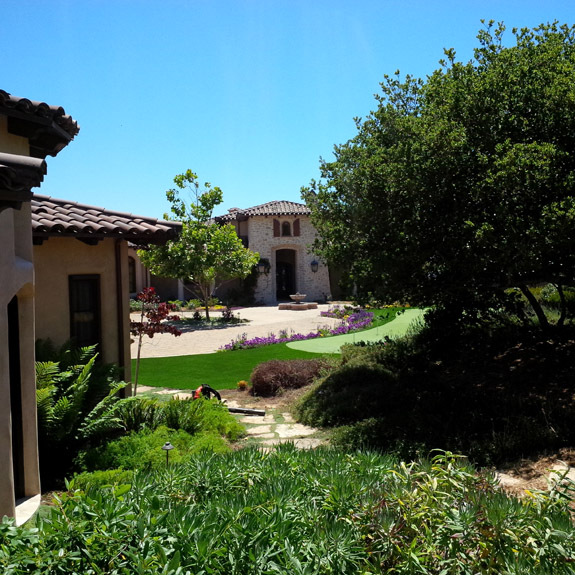 We monitor on a regular basis our irrigation systems. 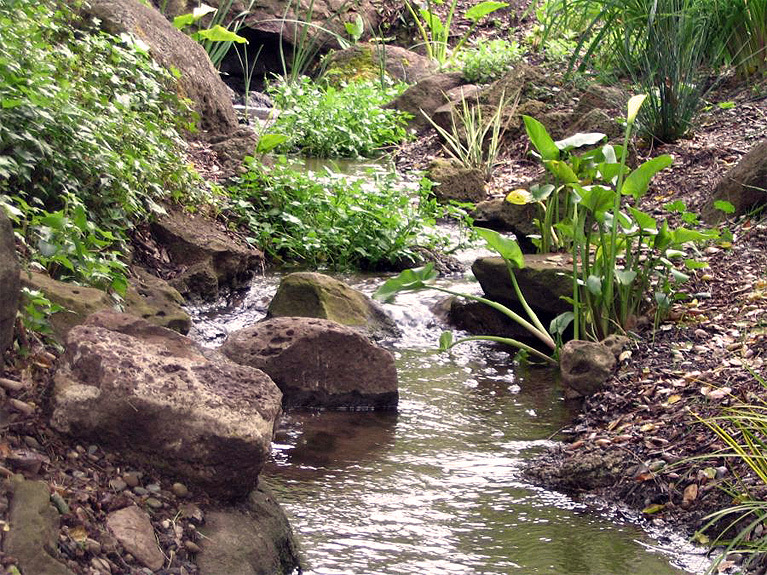 The slightest adjustments and changes can save gallons of water with each cycle. Our goal is proper coverage with little to no over-spray and no “run-off”. Checking soil moisture levels is key to knowing what the plants’ water requirements are. This is done digging down into the soil where the roots are and not just a topical visual check. Regular checks helps save water throughout the spring/summer and fall months.